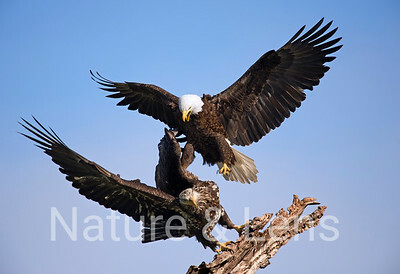 The Bald Eagle dwarfs most other raptors, including the Turkey Vulture and Red-tailed Hawk. 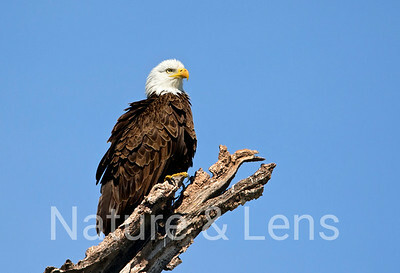 It has a heavy body, large head, and long, hooked bill. 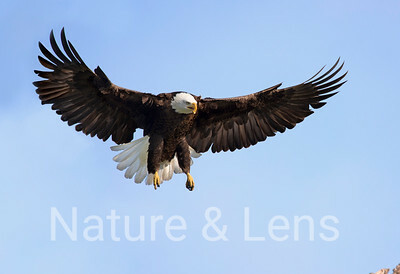 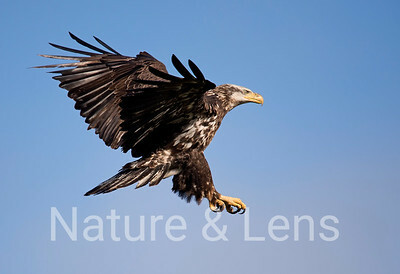 In flight, a Bald Eagle holds its broad wings flat like a board. 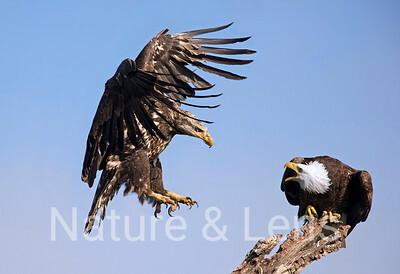 Adult Bald Eagles have white heads and tails with dark brown bodies and wings. 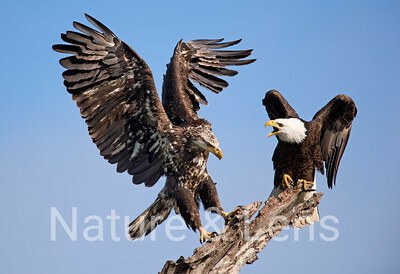 Their legs and bills are bright yellow. 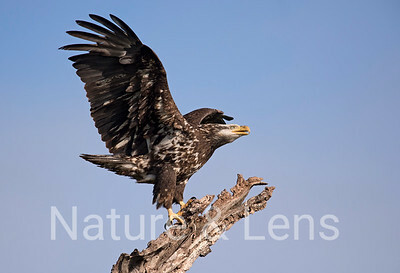 Immature birds have mostly dark heads and tails; their brown wings and bodies are mottled with white in varying amounts. 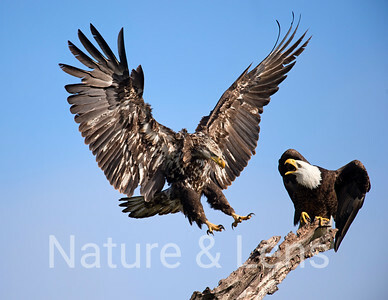 Young birds attain adult plumage in about five years. 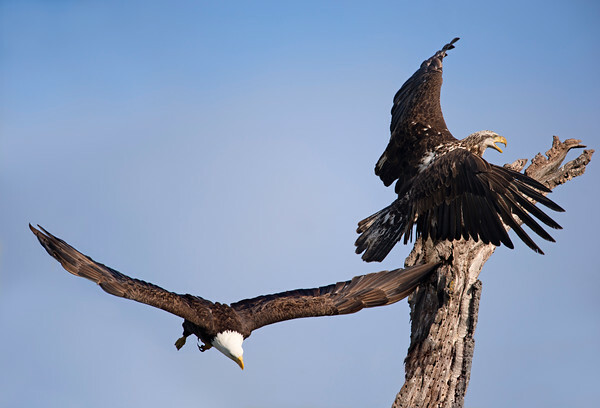 You'll find Bald Eagles soaring high in the sky, flapping low over treetops with slow wingbeats, or perched in trees or on the ground. 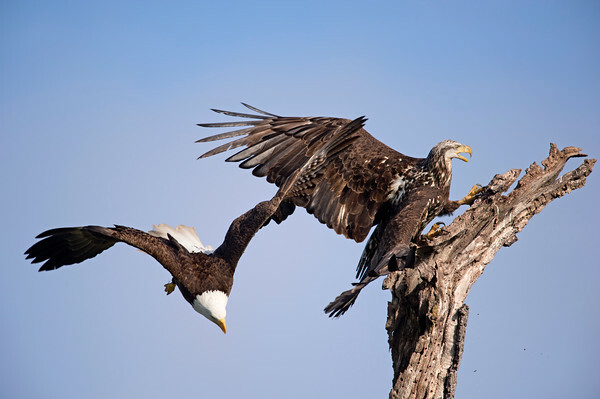 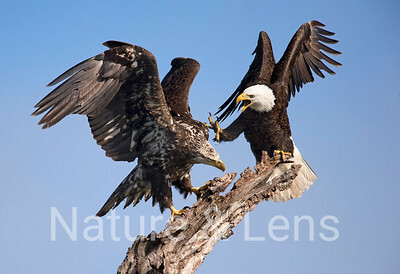 Bald Eagles scavenge many meals by harassing other birds or by eating carrion or garbage. 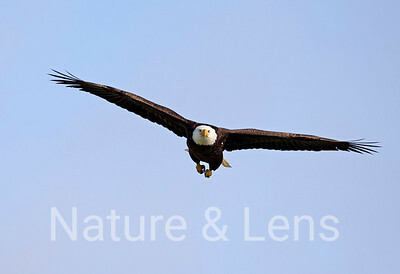 They eat mainly fish, but also hunt mammals, gulls, and waterfowl. 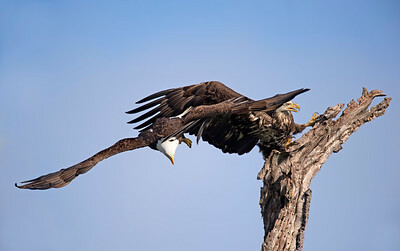 Look for Bald Eagles near lakes, reservoirs, rivers, marshes, and coasts. 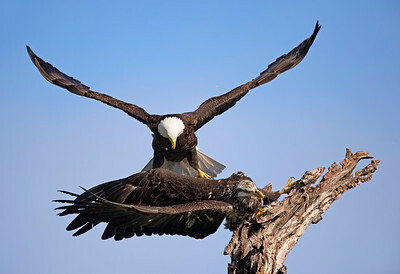 For a chance to see large Bald Eagle congregations, check out wildlife refuges or large bodies of water in winter over much of the continent, or fish processing plants and dumpsters year-round in coastal Alaska and the Pacific Northwest. 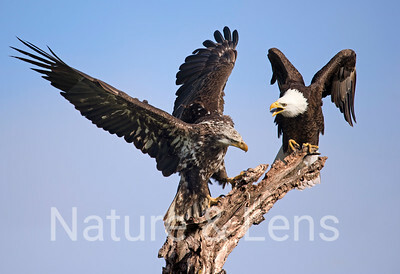 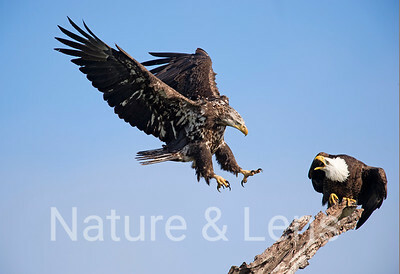 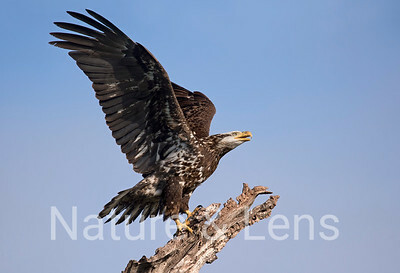 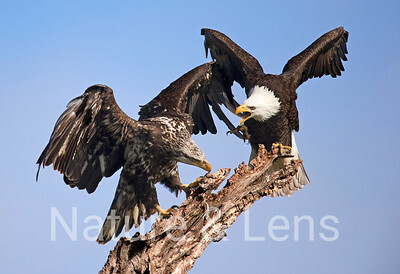 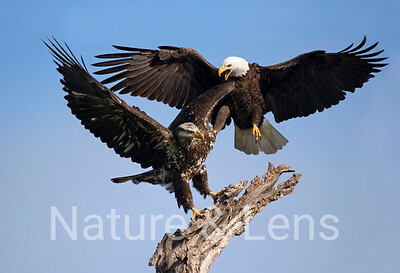 Immature Bald Eagle landing on perch of adult Bald Eagle . 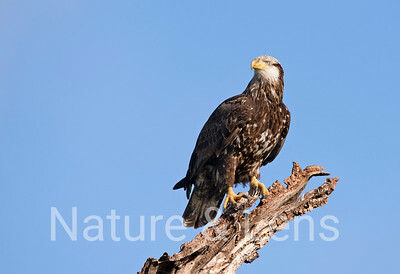 Immature Bald Eagle on perch.